Yesterday, we had an appointment with a licensed acupuncturist Claire McManus M. Ac. 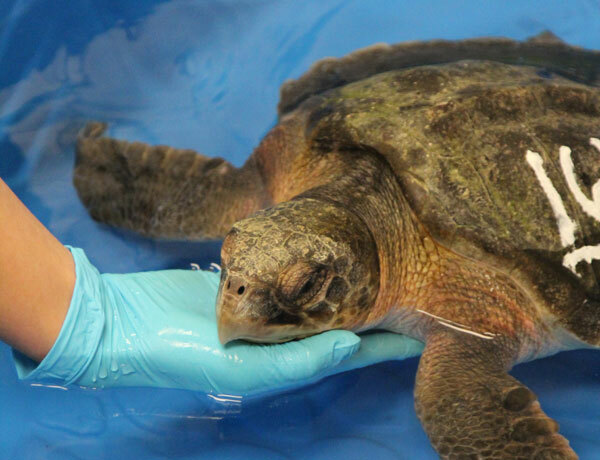 She is helping us treat some sick turtles with very persistent health problems. 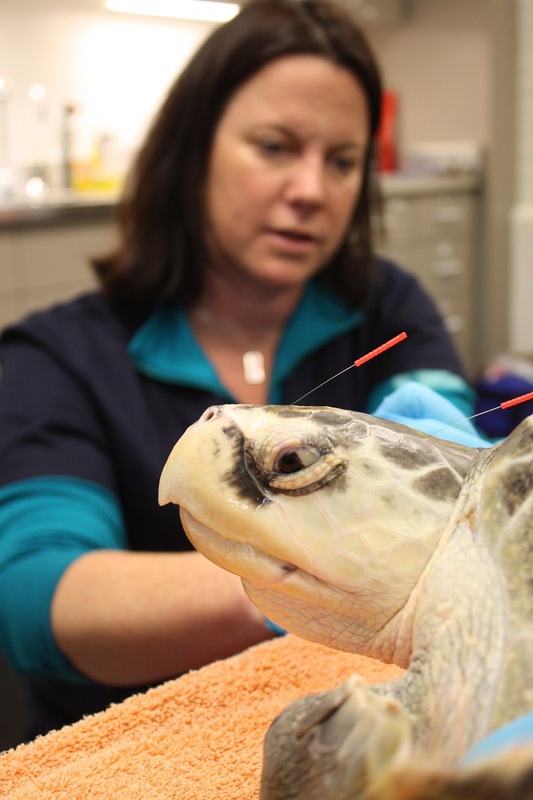 As we continue our traditional methods of treatment, we're adding acupuncture to the turtles' overall health plans. 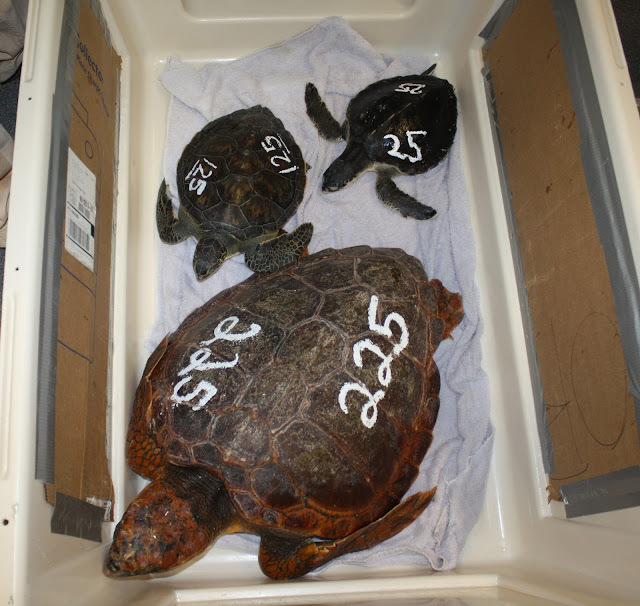 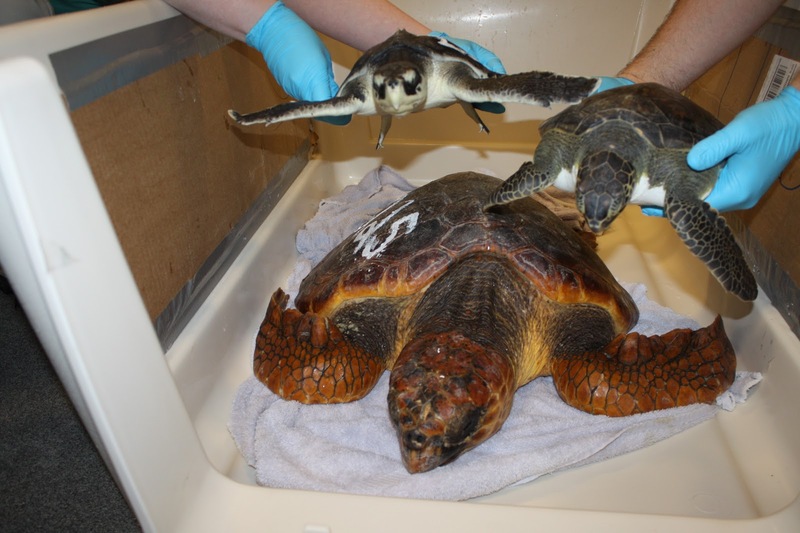 The goal is get these turtle better and returned to the ocean. 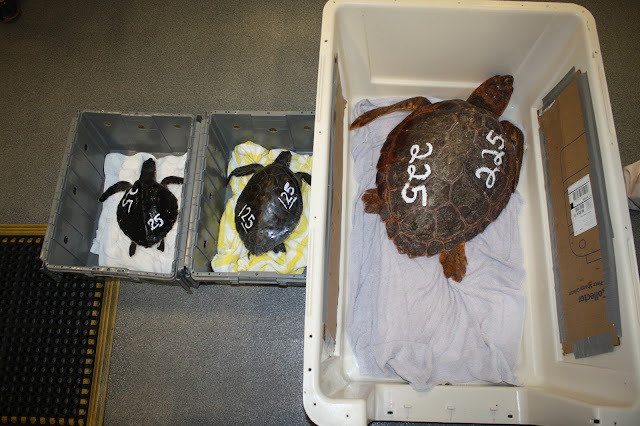 After our last release we still have 14 turtles in our care. 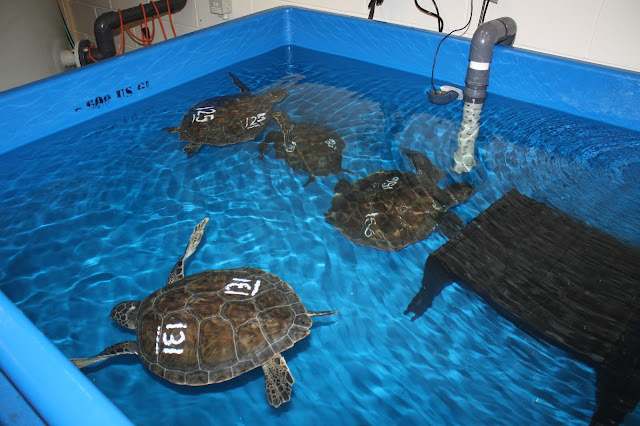 This is the time of year that the majority of turtles still in our hospital have many clinical concerns. 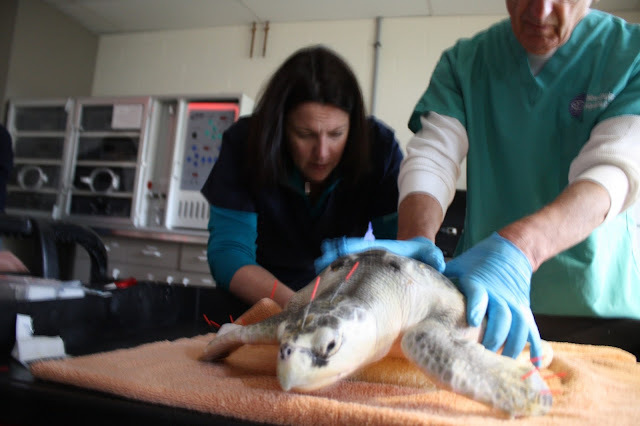 Most of our followers are aware that we will do anything to get these animals back to good health so they can be released back into the wild. 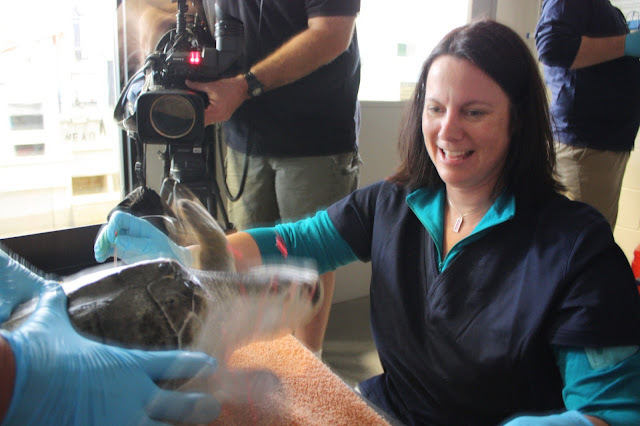 This includes the “non-traditional” treatments such as laser therapy and acupuncture. 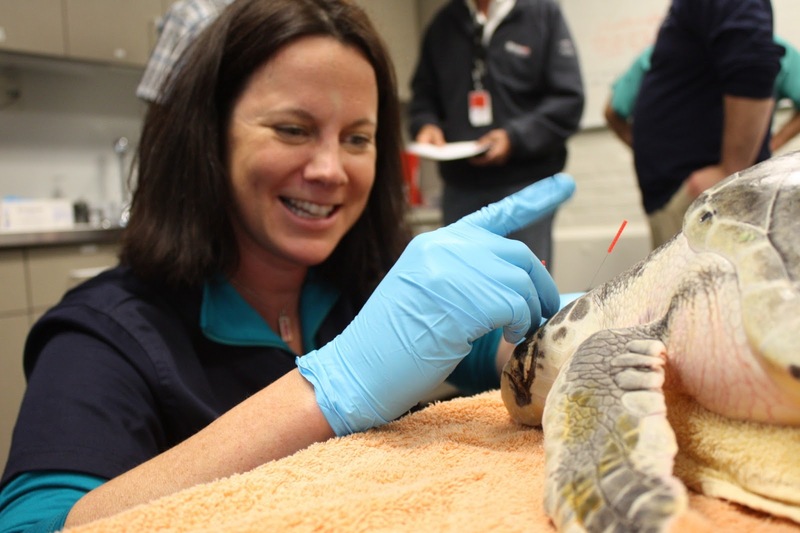 Two of the three turtles getting acupuncture right now are due to lameness issues. 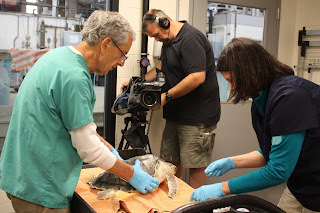 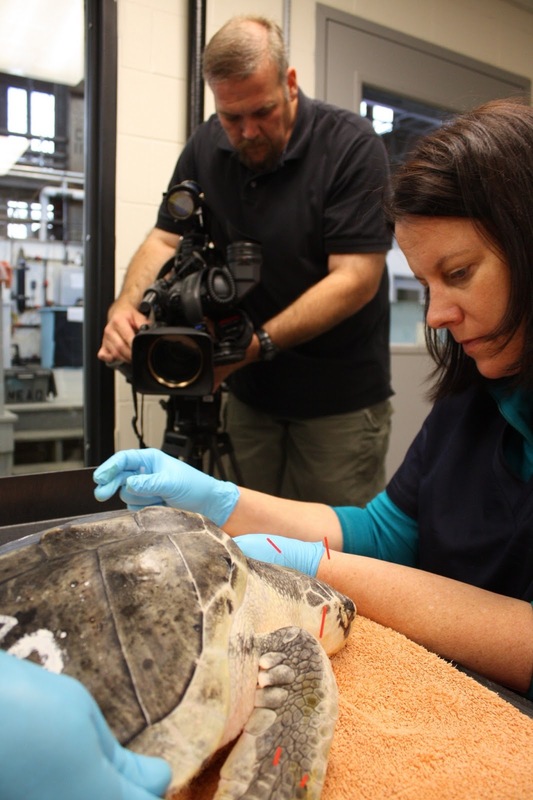 In the above photos you can see Claire McManus applying the needles to certain "points" on the Kemp's ridley. 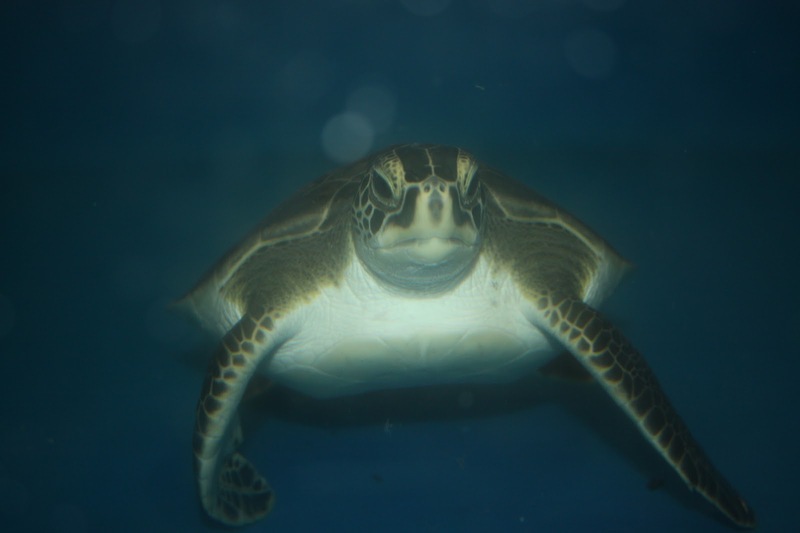 Even though the turtles sometimes start to flap around, this is a normal response we see even when they are not being treated. 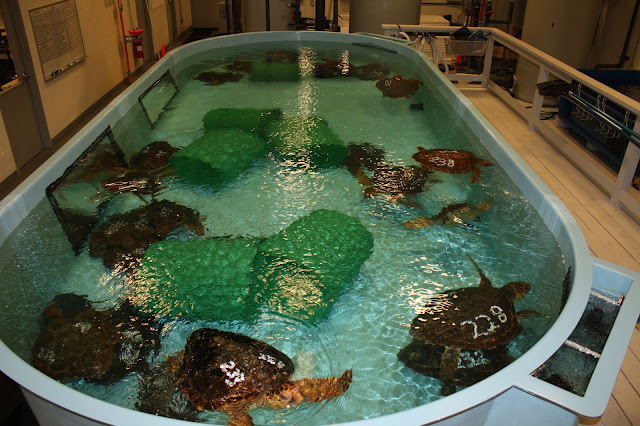 Typically the turtles settle down during the acupuncture treatment and seem to enjoy it.